An identity theft seminar is a very cost effective way to learn very quickly about the latest threats, best identity protection practices and market solutions in a group setting. Seminars are different from conferences where the discussions are focused on one specific subject. A conference is a combination of many subjects within a particular area. For example, an information protection conference might include many speakers discussing multiple topics related to information protection including identity theft, whereas a seminar such as an identity theft seminar is solely focused on the issue of identity theft. Therefore the seminar attendants are more likely seeking and will obtain focused information and solutions regarding identity theft. Identity Diet is a personalized identity protection course designed to help individuals identify, assess and reduce their unique identity theft risks by improving their identity management practices and taking advantage of the automated market solutions. 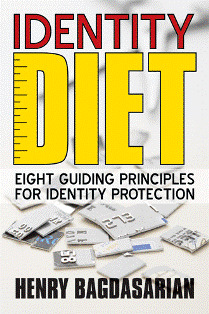 Therefore, Identity Diet seminars are developed to teach individuals very quickly how to assess their unique identity theft risks and create a plan to protect their identities. These identity theft seminars are focused on the latest identity theft threats as well as market solutions. As such, the Identity Diet seminars have also the objective of helping individuals learn about the various automated market solutions such as credit monitoring services as well as the objectives of the services and their own roles within the fraud prevention, detection and incident response processes. As you may know, signing up for a credit monitoring service does not end your responsibility for detecting and following up on suspicious transactions. You must be an active participant in the identity monitoring process because only you know which transactions were not approved by you. Most people are not aware of the latest identity theft threats, their responsibilities for protecting their identities, or the available solutions in marketplace. In summary, an Identity Diet seminar will reduce an individual’s identity theft risks through awareness, education and application of best identity protection practices in daily lives. The objectives of the Identity Diet seminars are: 1) help individuals understand their identity theft risks, 2) identify and implement the best identity protection practices in their daily lives, 3) identify and select automated services, and 4) learn about their minimum involvement in the identity protection process. Visit the Identity Diet website to learn more about our identity theft seminar.